Snow flew yesterday in Wisconsin. SNOW! I couldn’t believe it. Yes it’s been getting very cold but I haven’t seen snow this early in a long time. We usually don’t even get lucky enough with a white Christmas. Hopefully this year will be different! It’s time to break out the winter wishlist. 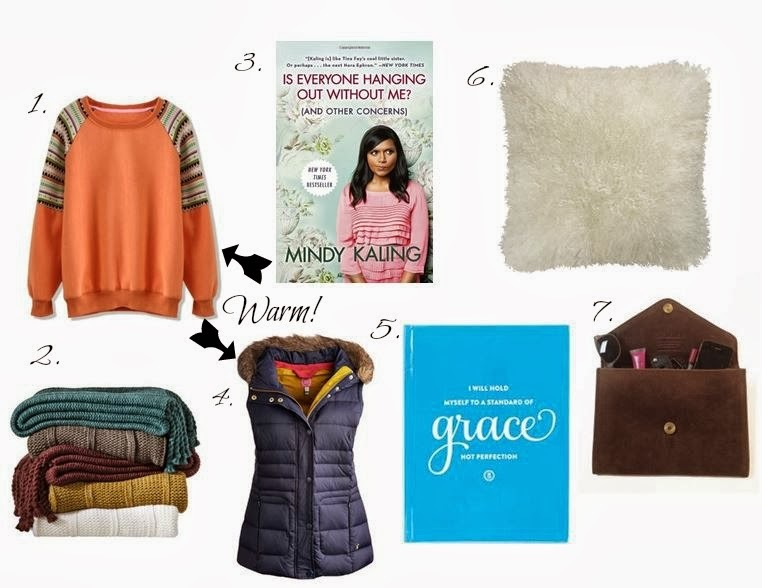 Most of these things are cuddle up on the couch in/with and that’s just the way I like my winter months. And that blue grace journal…have you ever seen anything more beautiful? I would love that to write in everyday! Happy winter?